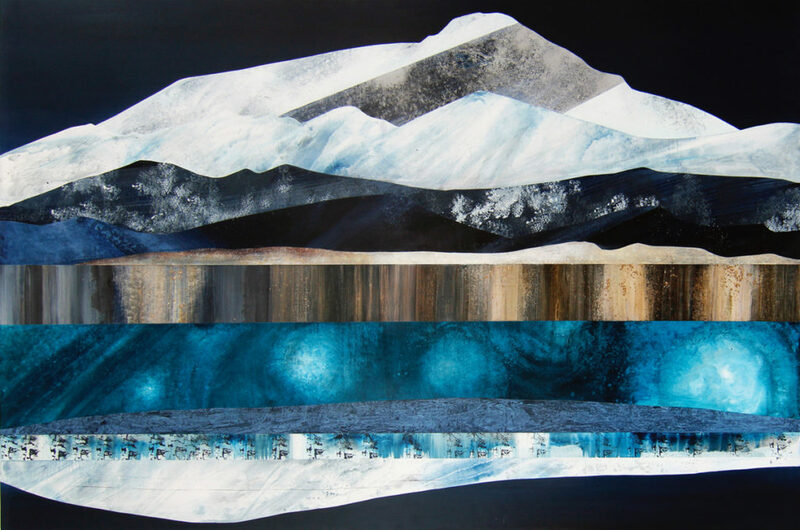 Sarah Winkler was born in Manchester, England, and currently lives and works in Morrison, CO. Winkler studied Art and Earth Science at William Paterson University and combines both subjects in her landscape and environmental artworks. 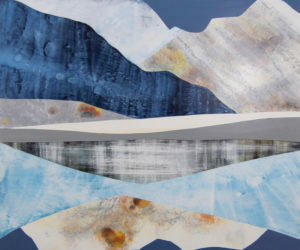 Winkler is best known for her desert and mountain geological interpretations of the American West. Her art practice involves the direct experience of walking into and documenting the landscapes with observational drawing and photography . 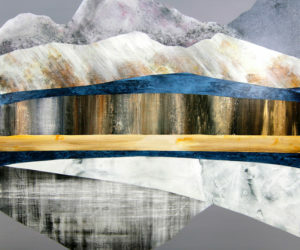 Geological research of specific areas assists in the visual and thematic choices that create each body of work. 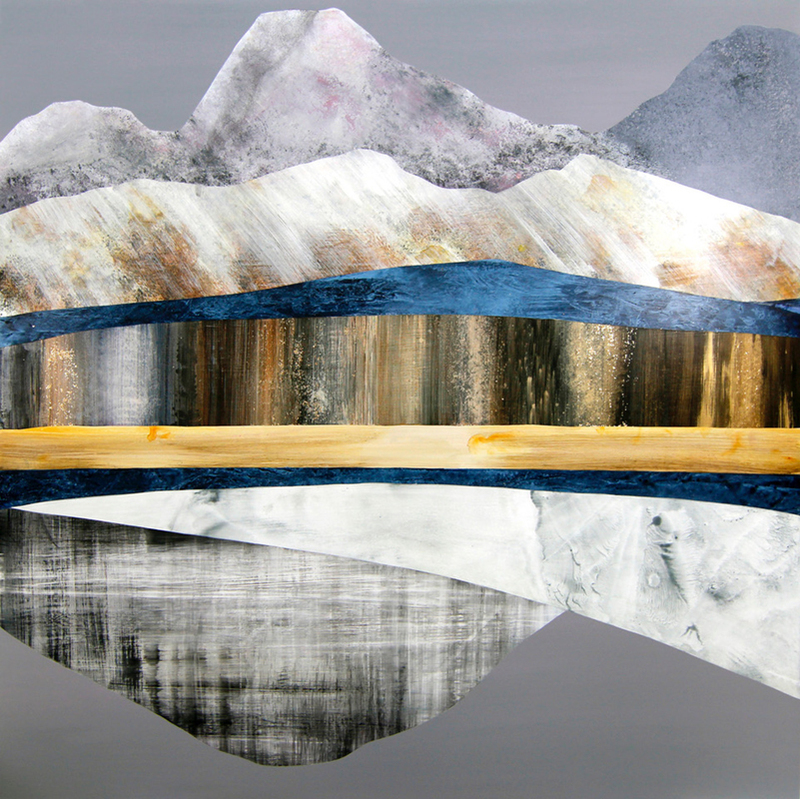 Winkler works experimentally with the materials and tools to find textures and imagery that mimic the forces and patterns of nature that sculpt and change landscapes over time. 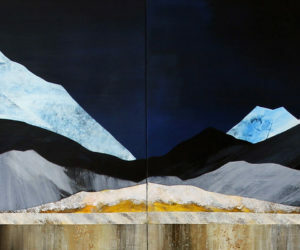 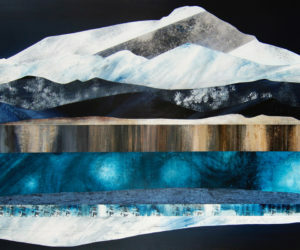 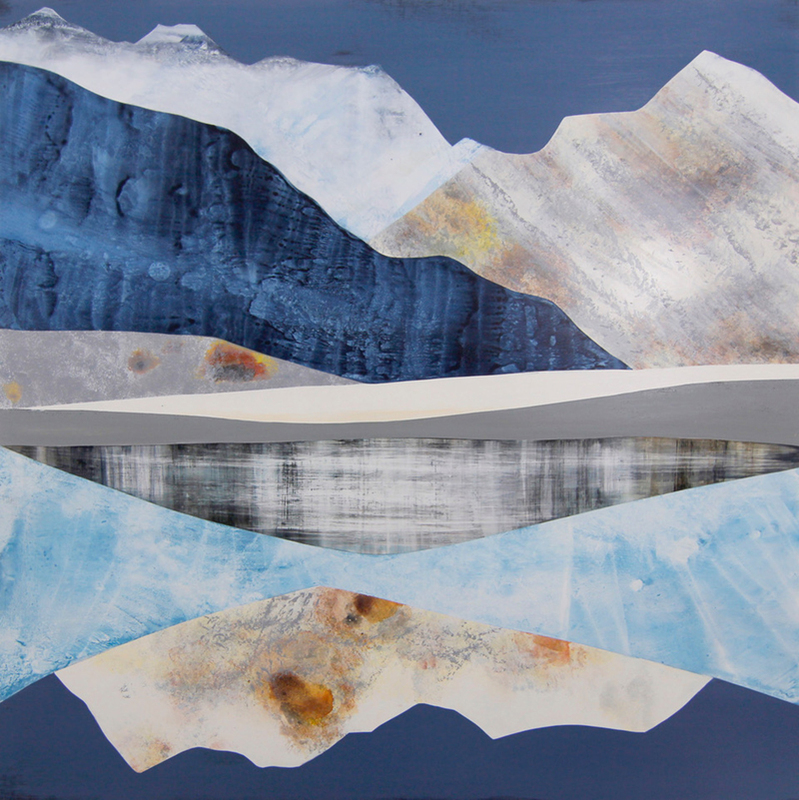 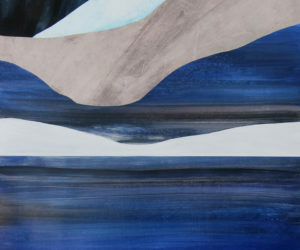 The cut and layered aesthetic in her work reinforces concepts that the Earth is not a static place. 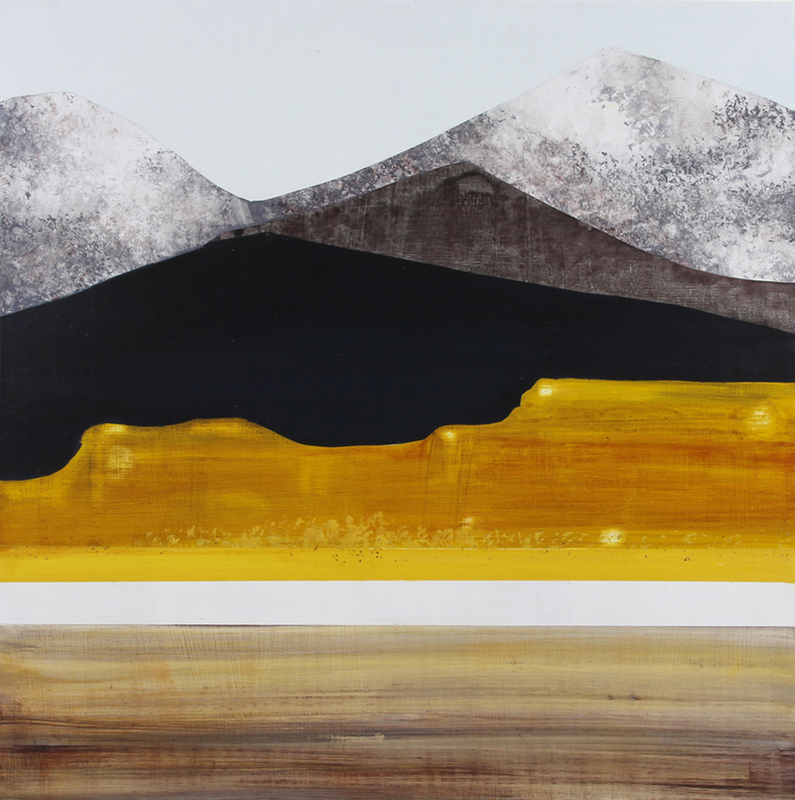 That ancient landscapes can be altered through gentle erosion or by sudden cataclysmic events. 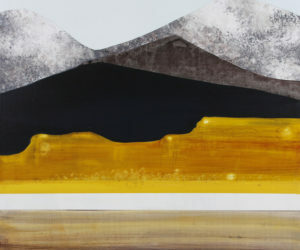 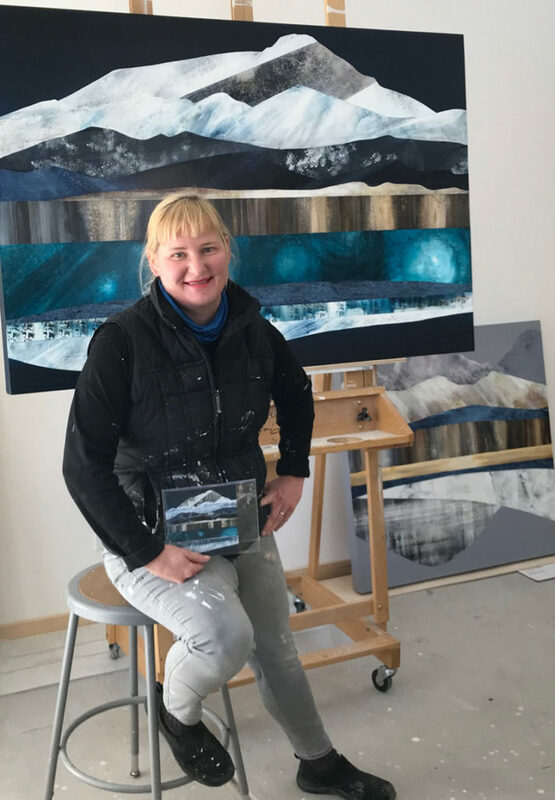 She incorporates actual ground water, crushed rock, and mineral from the landscape in her paintings to create moments of connection, exploration, and discovery.